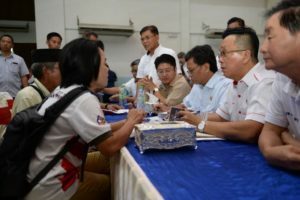 The chief minister stops to listen to a Kota Marudu resident who said his land woes remained unsolved as the PBS elected representatives were hardly around to assist the people. 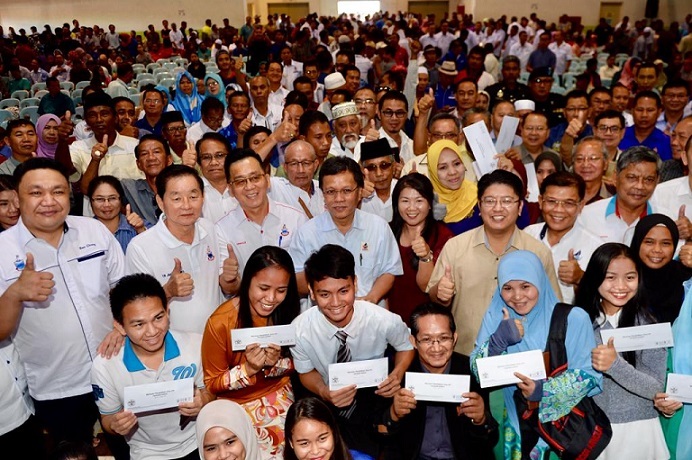 KOTA MARUDU: Sabah Chief Minister Datuk Seri Mohd Shafie Apdal wants all government agencies, including government-linked companies (GLCs), to return land that rightfully belonged to the people. 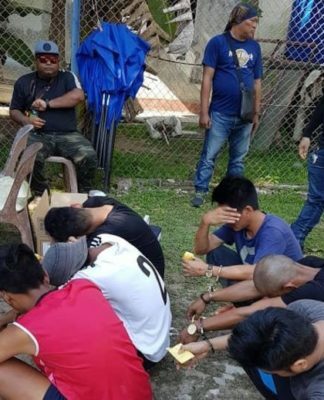 He said he had instructed the Land and Survey Department to look into the matter and if there were land belonging to government agencies, such as Sawit Kinabalu and Safoda, that supposedly should belong to the people, the agencies concerned should let go of the land and return it to the villagers. 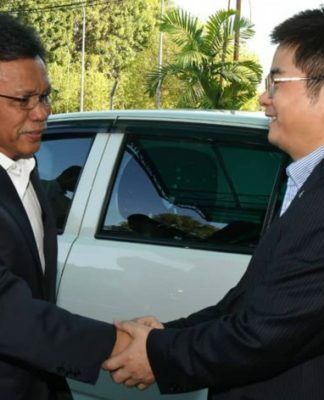 “It also happened in Kunak district to an extent that the people have land problems. 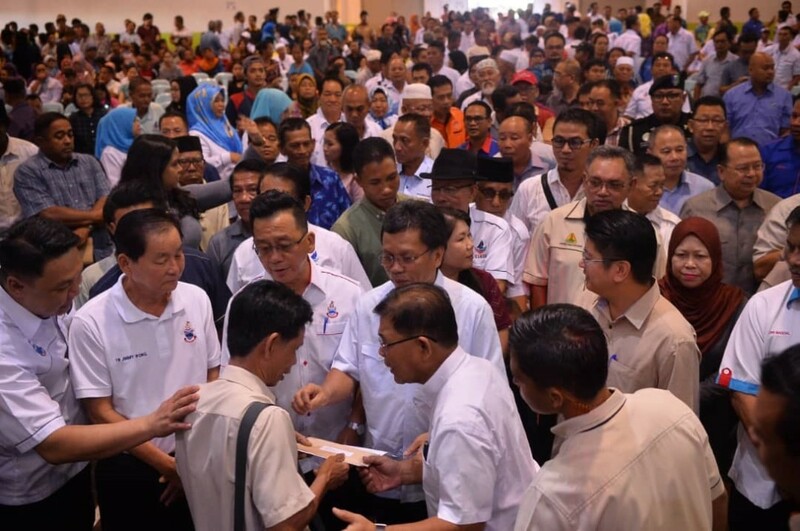 Sawit Kinabalu has a lot of money, but it has no meaning if the people are poor,” Shafie said here on Sunday at the ‘Hari Bersama Ketua Menteri’ in Kota Marudu on Sunday. He said government agencies and the GLCs should not abuse their power by pushing aside the people’s right. “If the towkays can be given acres of land, what is 15 acres given to the people to build their homes,” he added. 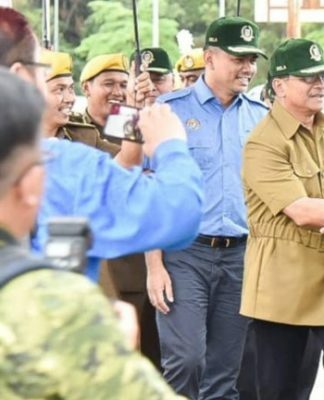 On a proposal to build a flood evacuation centre here, Mohd Shafie said the facility was important so as not to disrupt the learning process in schools and they were often used as relief centres during floods. Kota Marudu is one of the districts in Sabah often hit by floods during the monsoon season. 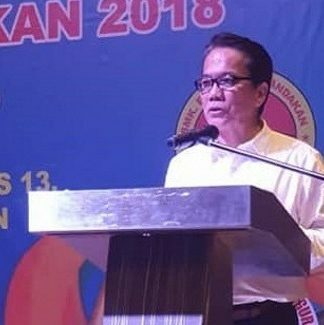 He said the facility would not only be built in Kota Marudu, but also other districts that were often hit by floods, such as Kota Belud and Beaufort.